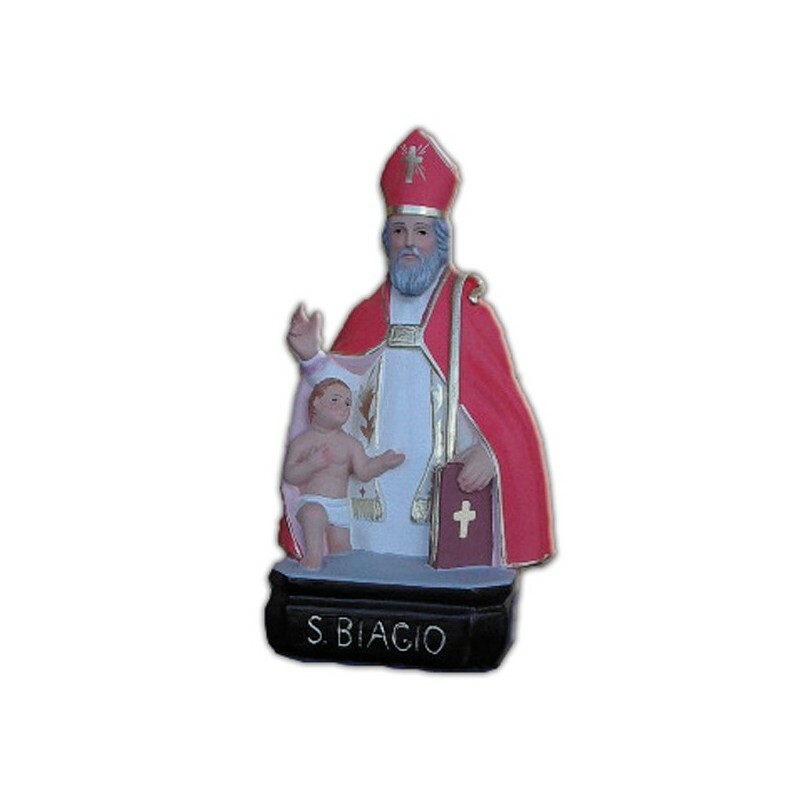 Statue of Saint Blaise of 30 cm. St. Blaise was a bishop and a martyr. He is commemorated on the 3rd of February. He died in 316 but there are not informations about his birth. According to his “Acts”, Blaise was a doctor and he began bishop of Sebaste (in Armenia), where he was martyrized. According to the tradition he miracously saved a guy, who was suffocating with a fishbone. From this episode it descended the ritual of “The blessing of St. Blaise”, against the infections of the throat. He is illustrated as an old bishop, with a baby.